The role of a magazine editor is a funny one. Rather like teaching or nursing, I guess it’s one of the few jobs where the loyalty of the person lies not with those who pay the salary, but with others. In the case of the editor, it’s the readers to whom the editor feels greatest loyalty. An editor genuinely believes they have an obligation to produce the very best magazine possible for readers. So editors spend many dozens of hours per working week doing it for nothing – attending events, working overtime to get issues finished, waking up in the night to come up with story ideas. In enthusiast car magazines, few editors get a salary anywhere near commensurate with the hours worked, and the effort that is made in those hours. I think one of the most awe-inspiring automotive sights possible is seeing an Outback road-train pulling into a truck stop at night. Hot, dark air pushed aside by the behemoth, a vehicle that has been driving for hundreds of kilometres into a tunnel of light lit by the huge spotlights, brushing away – depending on the location – ‘roos, rabbits or even bulls. It’s enough to raise the hairs on your neck, the glorious romance of pushing a load through the immensity of darkness. Over the years I have listened to many truck drivers talking on the CB, in the distant past on 27 megs and more recently, on UHF. Over that time I have become a fan; being able to talk to these guys, sometimes from a very small car, has given me confidence and understanding and empathy with these drivers of giants. 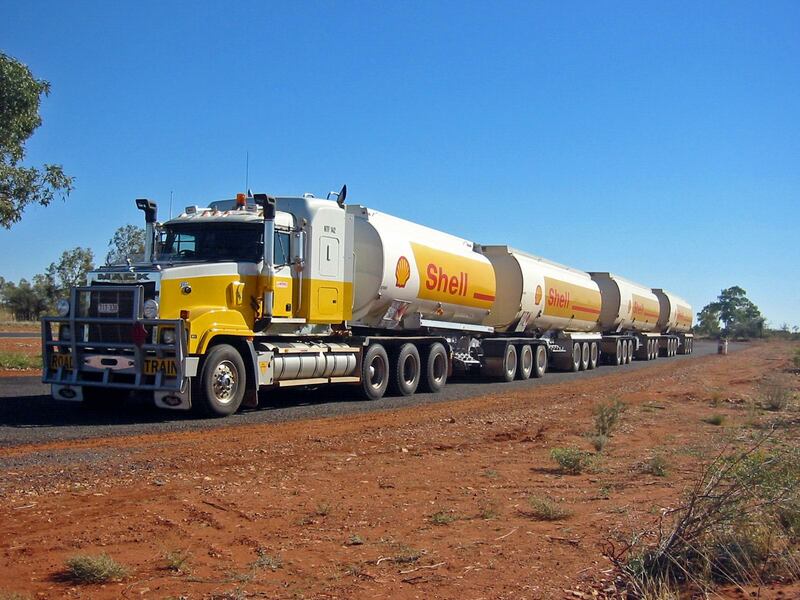 I love big trucks and enormously admire those who drive them. But when you start talking interstate hauls, most of their loads should be on trains. It doesn’t matter if you look from the perspectives of road safety, of road maintenance, of greenhouse gas emissions or of total fuel usage. For long distance, trains do it better. This article says it better than I can. I love trucks, but for long distance freight, it’s time for trains. Whenever talk turns to intercooler colour, two schools of thought emerge. There are those who suggest intercoolers should be painted black to aid heat dissipation. Then there are those who suggest the insulating properties of paint would outweigh any better thermal emissivity the intercooler would gain with its colour change. I have always thought – and continue to think – that the insulating properties of a very thin layer of paint would be effectively nil. After all, you don’t have much faith in that ‘insulation’ when you’re reluctant to put your hand on a painted exhaust manifold or exhaust pipe! But what about paints that are designed to insulate? Clearly you wouldn’t put them on an intercooler – but what about the pipe coming back from the intercooler to the inlet manifold? As I wrote in Insulating the Return, measurable gains can be made if engine bay heat is prevented from warming the returning air. At least two different approaches are taken to insulating paints. The first is where the special paint is bought and simply applied. The other approach is where you mix an additive in an existing paint. Hybrid car drivelines can be characterised as being of series or parallel designs. In a parallel hybrid, either of the two power sources can drive the wheels. In a petrol/electric parallel hybrid, that means either the petrol engine, or the electric motor, can propel the car. In a series hybrid, one power source drives the other that in turn propels the car. 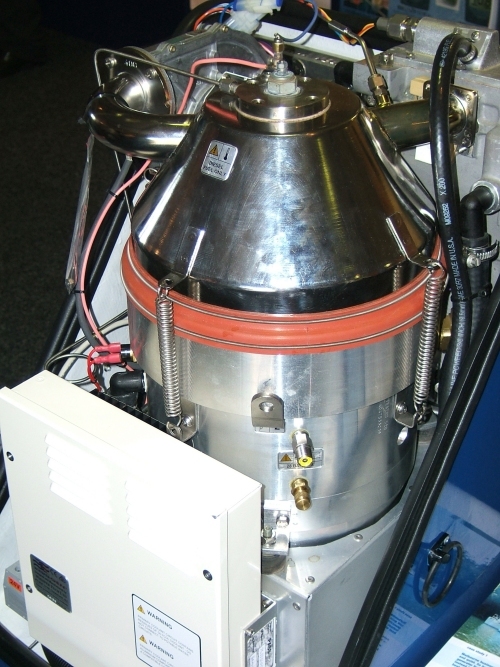 For example, in a diesel electric series hybrid, the diesel motor might drive a generator that charges batteries. These batteries in turn power the electric motor that pushes the car along. The best known of all hybrid cars, the Toyota Prius, uses a series/parallel design; most of the time the electric motor and the petrol engine drive the wheels directly, although the petrol engine can be used to drive a generator that in turn charges the battery pack. As I write this, I am building a shed. Well, no, for pedants, not literally as I write this, but on the day of writing this. But even that’s not true – it is taking more than a single day; in fact probably 12 days. But anyway, I am building a shed. It’s a big shed; 14 metres by six metres by 3 metres wall height. It is made of Colourbond and Zincalume steel, and Cee sections and Top Hat purlins and Girts. I’ve also come across Knee Braces and Mullions and Cleats. 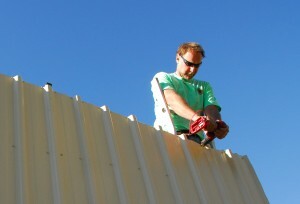 Which is probably as much Arabic to you as to me: I’ve never built a shed before. But one thing I figured I really needed was an electric drill. But not any old drill; nope one with a clutch and a bit that could drive the four million Tek screws that hold the shed together. I’d already bought a new electric drill, one that plugged into the wall and could hammer – sufficient you see, for drilling the holes in the concrete for anchoring the Columns to the Slab. Read two good books the other day. The first is really great for anyone interested in things mechanical, and especially the making of those things (or of course getting them made). 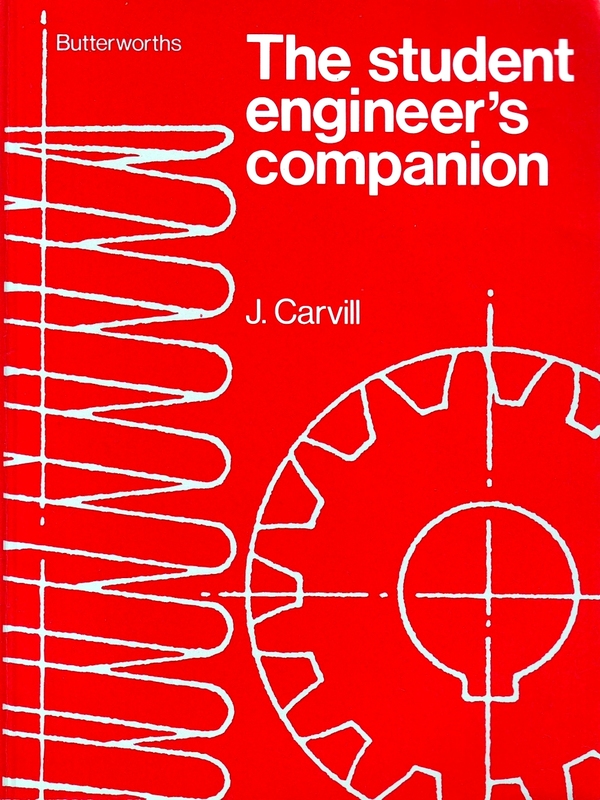 It’s called The Student Engineer’s Companion and comprises simply hundreds of line drawings accompanied by quick and simple explanations. 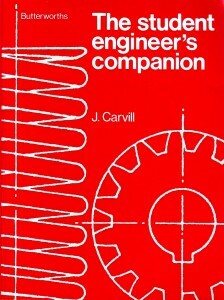 The author is J. Carvill. Opening it at random are definitions (actually, short descriptions) of poppet and sleeve valves, feeler gauges, sleeve couplings, helical torsion springs, forgings, flywheels and fillets. These are just a tiny sampling. The book is English (my copy published in 1980 and reprinted in 1990 – ISBN 0-408-00438-X) and for readers from other countries there are a few descriptions that are a little puzzling, however in the main, the book accurately lives up to its title. Especially if you don’t come from an engineering or trades background, it’s an invaluable primer in coming up to speed in the terminology of engineering. Anyone who has read Sir Laurence Hartnett’s book Big Wheels and Little Wheels will know how important it was to establish a domestic Australian car manufacturing industry. In that immediate post World War II time, it was seen as consolidating the industrial gains made by Australian in WWII; establishing a secondary industry that used the most sophisticated of manufacturing technologies this side of making aircraft (steel production, casting, machining and industrial design); and laying the foundation for a productive, long-term industry for Australia. And when making things so dominated the employment landscape, a car manufacturing industry was also sure to provide a lot of jobs. And in due course it did. But now, in 2008, new Holden boss Mark Reuss is playing from the same hymn sheet. I recently bought a book published in 1950. Called Speed – the Book of Racing and Records, it covers fast machines on both land and water. Written at a time when the United Kingdom held most of the records, it’s a brilliant read as the contributors are often the men who held the records. One of the best chapters is by John Cobb, then the holder of the world Land Speed Record. 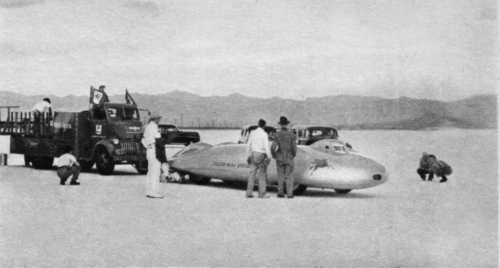 The idea of building a new kind of car to attack the World’s Land Speed Record, which is the out-and-out fastest that any car of any size has ever travelled on the earth, came when I was driving my big 500h.p. 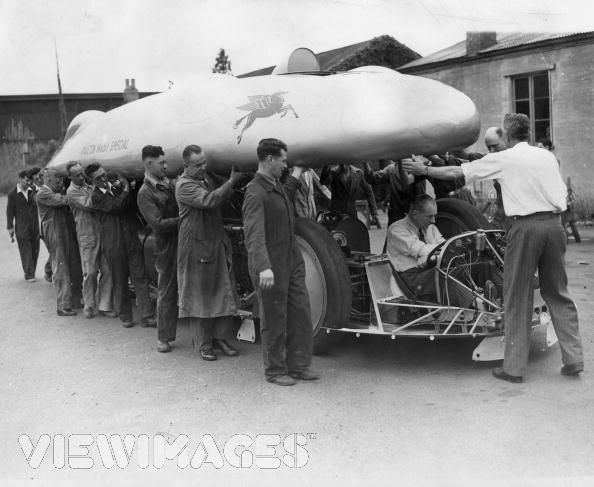 Napier-Railton at Brooklands Track. This very large car had been constructed for me to designs by my friend Reid Railton, an engineer whose talents, in my opinion, amount to sheer genius. The car was born on a drawing board and although I was perhaps a little dubious about its possible performance, everything that Railton said it would do it did – and rather more. 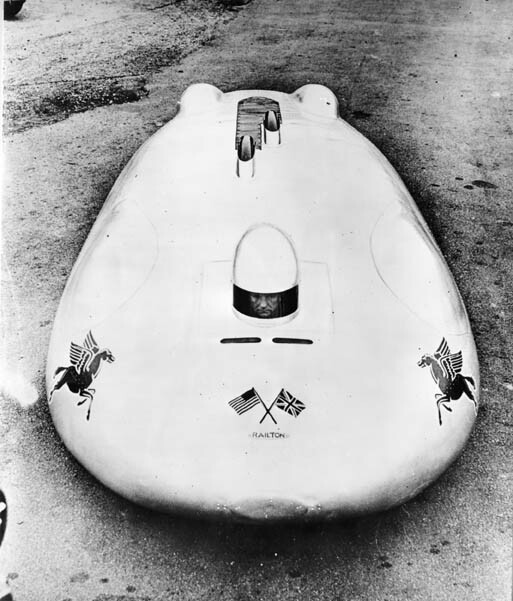 It was admiration for his brains that led me to think that if ever a man could design a car to beat the World’s Record, then held at 300 m.p.h. 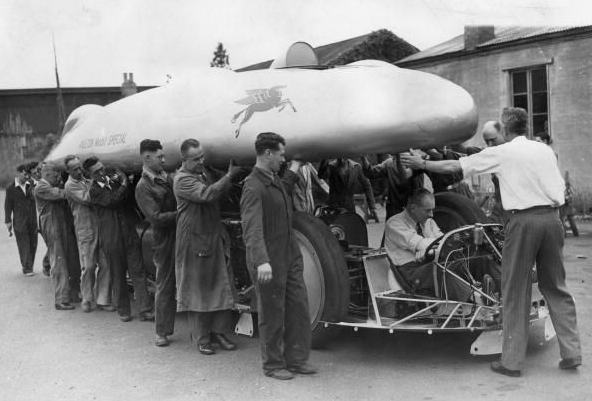 by Sir Malcolm Campbell’s “Blue Bird”, that man was Reid Railton. As things turned out, the car he designed for me did exactly as he said; in fact, his theoretical prophecies were rather on the pessimistic side and the car did better than he expected. As regular AutoSpeed readers will know, each week we repeat some of our content. We decided on that path for a few reasons, but the primary one was that I could see from our readership stats that many – in fact a huge number – of previously published articles were being completely overlooked. Time has certainly vindicated that observation: most of our republished articles have proved (and are proving) very popular. The selection of the older articles that I think worthy of bringing forward again is manual: I look at our old material and decide what is still relevant and strong. That’s an easier task than it would be for most publications, because from day #1 of AutoSpeed I was always conscious that material published in AutoSpeed would be continuously accessible over a long period. Well, wherever possible, I tried to make articles timeless – or at least, written in a form that would allow them to date as slowly as possible.